My mission is to create successful and joyful partnerships between horses and people based on love, trust and mutual respect. Jan Shaw is a Horse Whisperer, Spiritual Teacher, Intuitive Mentor, Author and Speaker. 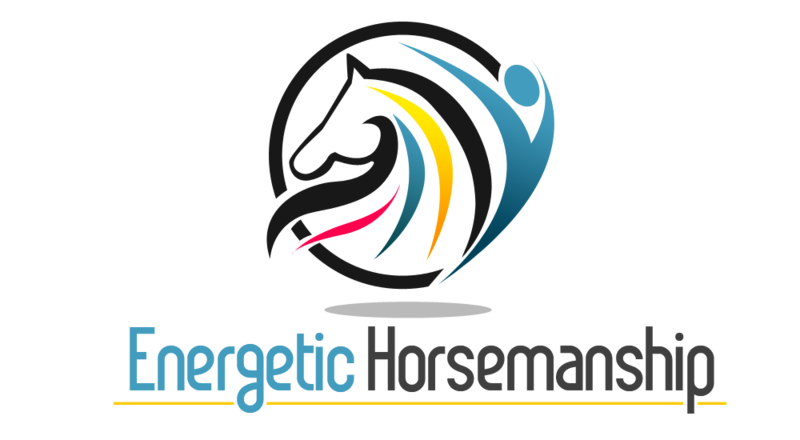 As well as being the creator of the Energetic Horsemanship approach to horse care and training, she is co-founder and vision holder for the Festival of Enlightenment, and creator of the ‘Empower Your Life: Achieve Your Dreams’ program. She is also the author of the “Dream Achievers Success Kit” and “Empowered Manifestation”. After many years of corporate life in England, allowing the logic of ‘earning a good living’ to overrule my passion and purpose, I am now following my heart and working in training and development of horses and people. Until 2012, horses had just been my hobby and I had spent over 30 years working all hours to spend a few precious hours with my horses. Since April 2012 I have been able to incorporate both aspects of my life purpose in training horses to become empowered and co-operative partners, and teaching people how to become empowered and to live in love, joy, peace, and abundance. I have been blessed with the perfect environment to continue the development of the Energetic Horsemanship approach through working with horses who have varying degrees of emotional trauma due to the methods of training and management they have been subjected to in the past. It was my Andalusian gelding, Voto (Mill Devoto) who taught me about the spirit and sensitivity of horses and, incidentally, jump-started my spiritual journey (more of that later) which led me to Denver, Colorado in 2010 to create the 2011 Festival of Enlightenment and to develop my spiritual empowerment coaching program. Through teaching others to find happiness and fulfillment by following their heart and doing what they love, I eventually found a way to incorporate horsemanship into my work. After more than 40 years experience with horses, I could spend several more lifetimes and still have much to learn about these magnificent creatures. I look forward to sharing my continuing learning with you and hope that you feel inspired to try my methods with your horses so that you can experience the joy of being with horses and feel the love they give so generously. Read on for more about my experiences with horses over the years in Q & A format. Jan, what is your earliest memory of horses? Sitting on top of the huge Shire horse when we visited my cousin’s farm stands out as my first real memory of being with horses. There are also some cute photos of me in old style flared-thigh jodhpurs. Did you grow up around horses? No. (if only!) My family had no connection with horses. Apart from a short time living in the Norfolk countryside I grew up in the suburbs in North West England. In Norfolk, we lived next to a dairy farm. I was about 5 years old and tamed a calf and rode on its back as it was the closest I could get to a pony! At school, I would play at horses with my friend and canter around the playground. I read every book about ponies I could lay my hands on and loved the Jill books by Ruby Ferguson because they were about a girl who came from a single parent family with very little money (like me!). When I was about 8 or 9 I would go with a friend to a field near our house where Shetland ponies were kept and we would jump on their backs and ride them without any tack. I started riding lessons when I was about 10 years old and fell in love with an Arabian mare called Natasha who was full of energy and spirit. I would ride my bike to the riding school at the weekends and help out in return for lessons. I was 28 years old when I bought my first horse. He was a beautiful bay Anglo-Arab called Milton. I fell in love with him when he ran off with me in a riding lesson – he was a new addition to the stables and it was ‘love at first flight’! I had lots of fun on Milton doing local show jumping and cross-country competitions. Unfortunately, I had to give him up when I was expecting my first baby. Then there was Dante, a young, very green, and spooky Thoroughbred cross bay mare who I originally had on loan and then eventually bought her. I learned a lot from her and the knowledge I gained in building her confidence and curing her napping/balking lay the foundations for my later rehabilitation work with Voto, my Andalusian gelding. I must mention Tango, a chestnut Welsh pony gelding I bought for my daughters, Steph and Jo. He was a really sweet boy and taught my girls a lot. After Tango came Squirt, a petite Thoroughbred mare of only 14h who was Jo’s schoolmistress having had a very successful career as a junior show jumper. 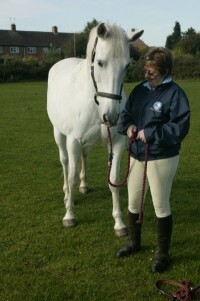 When Jo outgrew Squirt we got Bishy (short for Bishop’s Secret) who was my first experience of owning an ex-racehorse. Bishy had the loveliest temperament and was a real gentleman. Bishy went to a lovely lady when Jo was kicked on the shin and broke her leg in a riding accident so couldn’t ride for several months. In fact, Jo vowed never to ride again but changed her mind after being tempted to get back in the saddle on a wonderful trail riding holiday in the Sierra Nevada mountains in California. So we acquired Bertie, our second Thoroughbred ex-racehorse. Voto was undoubtedly a gift from God and he came to me in a most miraculous way. It was Easter 2003 and I had a few days off work so I decided to look through Horse and Hound magazine to see if there were any horses for sale in my area. I had set my heart on owning an Andalusian (PRE) horse and was excited to find one advertised with a local phone number. When I rang the number I was even more amazed to find I was speaking to the owner of the livery yard (boarding stables as they’re called in the USA) across the road where my own horses were stabled. Voto was owned by the mother of one of my daughter’s school friends and had been sent there to be sold. My Andalusian dream horse had been delivered to my doorstep! Voto’s story is too long to go into here, but during our first year together he had a nervous breakdown and the 3 years I spent rehabilitating him completely changed my approach to horses, which up until then had been the very conventional ‘let him know you’re the boss’ method, and also changed my life. Voto’s story will be featured in the Case Study category and will demonstrate the methods that have become part of the Energetic Horsemanship approach. Voto is also still with me, and we share an incredible bond. He and Bertie are currently being cared for in England and will be joining me here in Texas as soon as funds are available to fly them over. Look out for more stories about my experiences and adventures with all these wonderful horses as the website develops. In the horse world, who has influenced you the most? When I was growing up I loved watching showjumping on TV – the Royal International Horse Show and the Horse of the Year Show. The top riders in those days were Harvey Smith, David Broome, Eddie Macken, Caroline Bradley, Marion Mould (who won a silver medal in the 1968 Olympics on little 14h 1in Stroller) and many more from that era. My mum and I would be on the edge of our seats as we watched these riders and their amazing horses. During Voto’s rehabilitation, I studied equine psychology, horse behavior, and natural horsemanship to help me solve his behavioral problems. I continue to study all aspects of horsemanship and especially equine psychology and classical riding. My favorites are Mark Rashid, Klaus Van Hempfling, Linda Kohanov, Alois Podhajsky (former director of the Spanish Riding School in Vienna), Sylvia Loch, Anja Beran to name a few. I am always adding to this list so look out for more recommendations in the Review section of this site. What do you love most about horses? I love their beauty, nobility, and sensitivity. I love their sweet loving natures, their forgiveness, their tolerance and acceptance of so much that is in opposition to their natural survival instincts. I love their patience with humans who think they are superior in knowledge and yet know so little about the multi-dimensional world beyond logic.